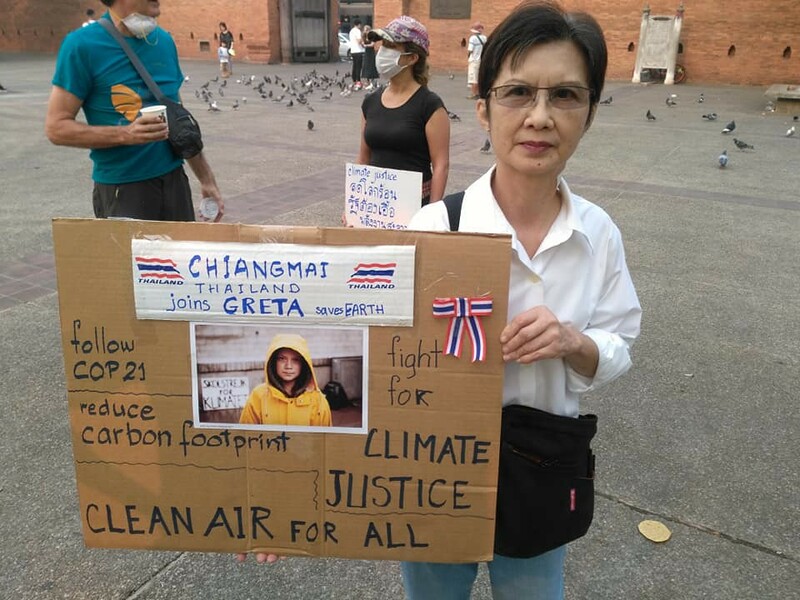 On Friday 15 March, the most polluted day of the week according to the Air Quality Index (AQI), students from Chiang Mai and Maejo universities, wearing anti-PM2.5 masks, gathered in front of Chiang Mai University with a “Chiangmai Climate Strike” sign. The group is demanding serious action on air pollution and an improvement in the standard of living. They also showed signs in support of Greta Thunberg, a 16-year-old Swede who inspired the Global Climate Strike. The campaign was in solidarity with Fridays for Future, a global student campaign organized in 123 countries with 2052 events. International participants joined the movement demanding serious action for clean air. On the same day, Thais and Singaporeans donated 3,600 respiratory masks for children through the RADION International Foundation. Before Fridays for Future, the students worshipped at a local shrine in protest, implying that even superstition is more effective than the current administration. 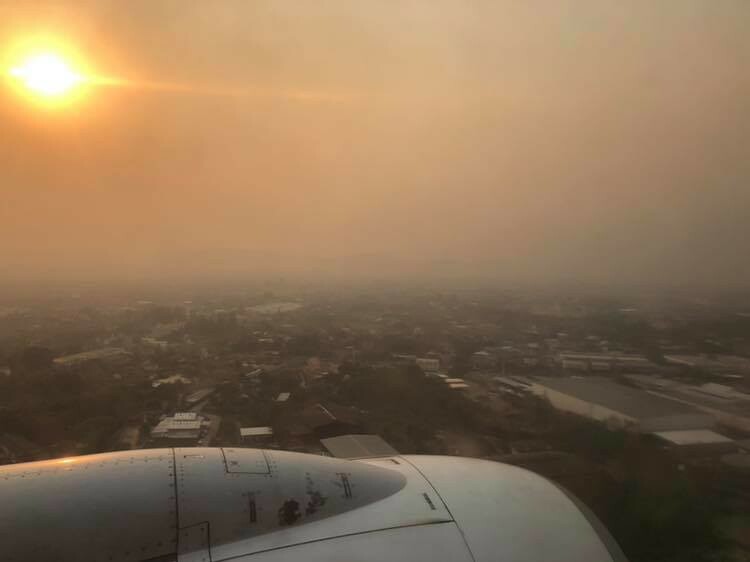 Chiang Mai in smog, a view that saddened the nation. In response, the Governor declared a number of measures including a two-month ban on burning, vehicle checks, factory inspections, planting trees, and disseminating self-care information, but some doubted if this would be effective. 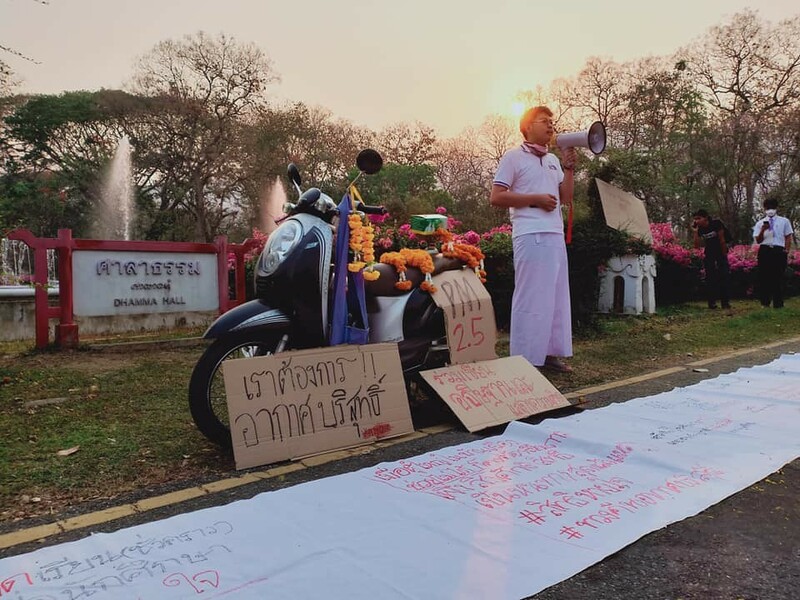 On 16 March, the group also tried to hand a letter to the Governor again demanding preventive measures, not passive reaction. 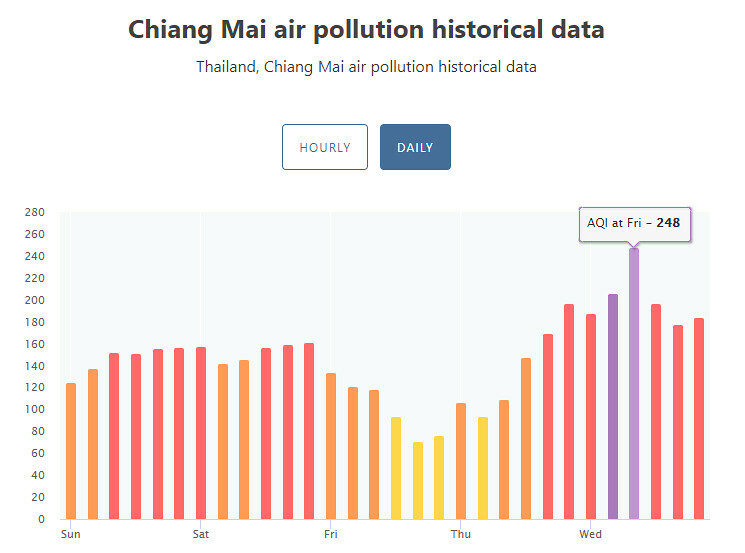 PM2.5 in Bangkok reached world-beating unhealthy levels 10 weeks ago, causing the government to close 432 schools temporarily. To address the problem, the government did nothing but spray water into the air. 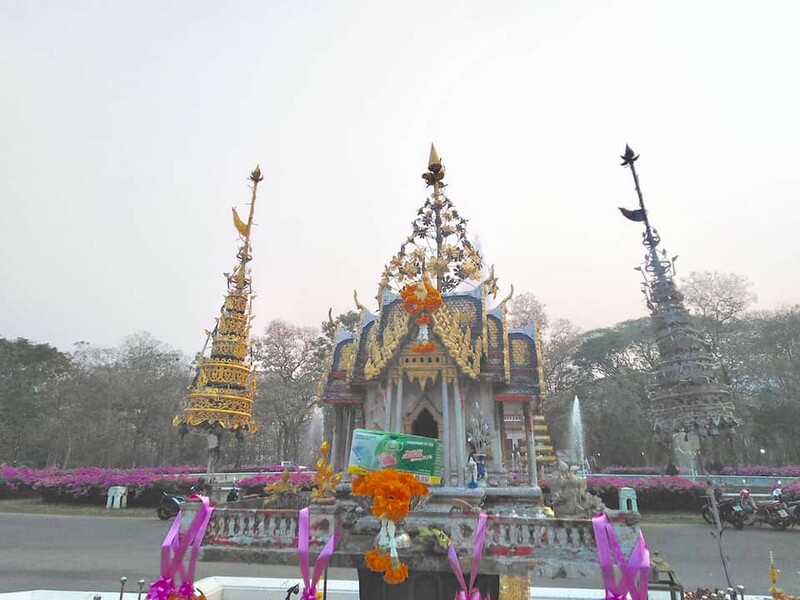 As of today, Chiang Mai remains unhealthy according to the AQI.